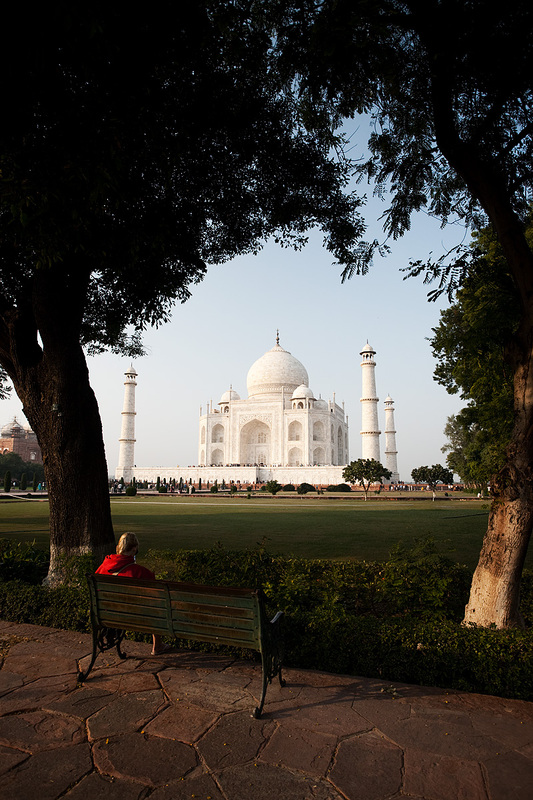 A young lady reads on a park bench at the Taj Mahal. If you don't follow these shenanigans on my other website, you wouldn't know this is my second time to the Taj Mahal over a period of 5 years. It took me that long to come to my senses and fully appreciate the beauty that is the Taj Mahal. My initial experience in 2004 was marred by an over-hyped reputation and the throngs of persistent touts and annoying souvenir salesmen just outside of its gates. 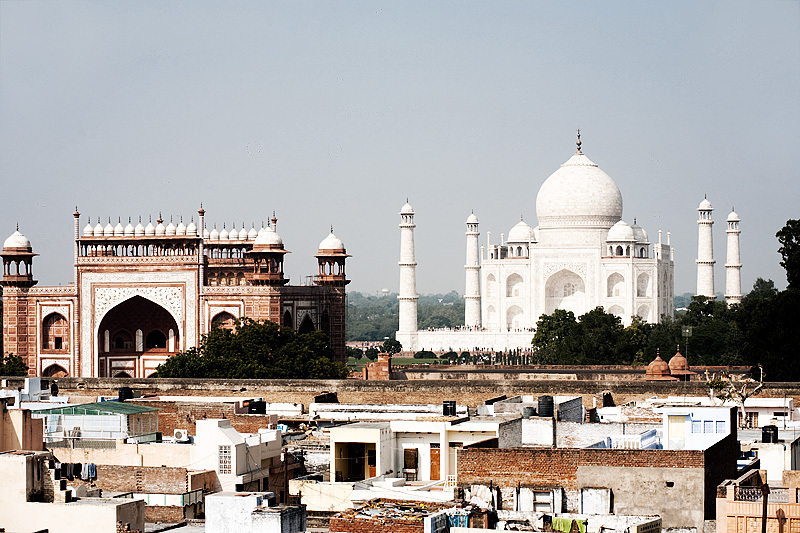 Rooftops of the local neighborhood south of the Taj Mahal. In retrospect, it seems the authorities taught some long overlooked manners to many of the more annoying elements surrounding the Taj Mahal. Faux tour guides now require only one "no" instead of a series of "no"s that previously led to lost tempers and frustrated foreigners. It appears the structure itself is also better cared for. Previously, I recall a soot covered dome whereas during my recent visit I saw a near perfect white marble. My one big complaint is that the price is still ridiculously disproportionate to the local cost of living. 750 rupees (US$17) admission is expected from foreigners under the assumption that money flows out of our orifices. Many of the more frugal elements in our ranks opt not to enter the Taj Mahal complex but instead to view the building from one of several rooftop restaurants like in the photo above.